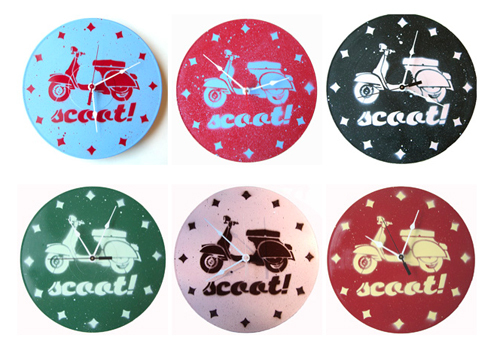 These clocks are actually a recycled vinyl record (LP) and then painted with a handcut stencil by “Art by Mags”. They’re $40 a piece and are one of a kind. 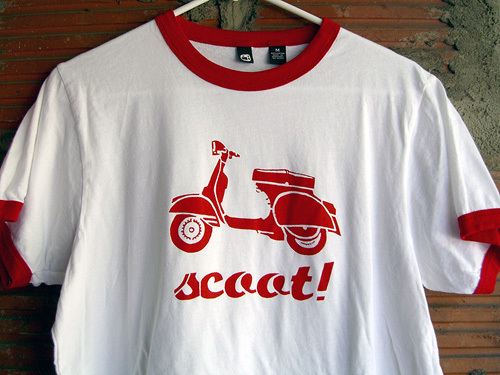 On this site you’ll also find t-shirts with the same design in some color variations and a wide variety of sizes. This entry was posted in Art, Clothing, Crafts by Tracy. Bookmark the permalink.